For those people who working in a broadcast or filmmaking company, if you have ever recorded a video footage with one of your high-end camcorders such as Canon XC10, Canon C300 Mark II or Canon C500, you will get a MXF container file with multiple audio tracks. Do not want to loss the multiple audio tracks when loading the file into Final Cut Pro or converting to other compatible file formats such as MOV, MP4, etc? Here comes Pavtube iMixMXF, the unique and professional Mac solution to preserver or mix MXF multi-tracks and channels. 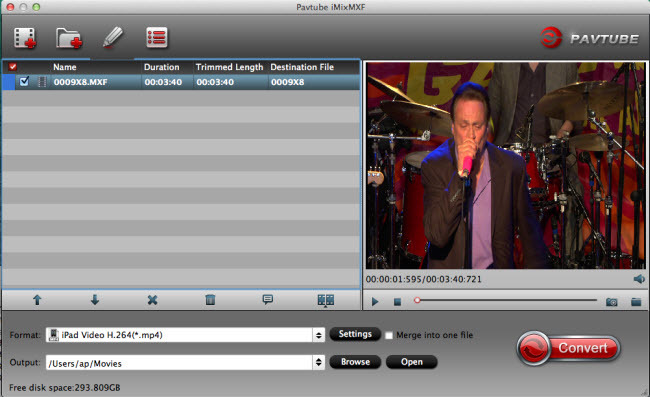 Following are the 3 reasons to use Pavtube iMixMXF. 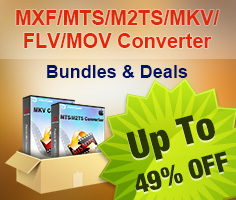 The program supports to convert MXF to multi-track video with three formats in several different codec: MKV with H.264/XVid video, MP4 with H.264 video, MOV with H.264 video, or MOV with Apple Prores codec with multi audio tracks. 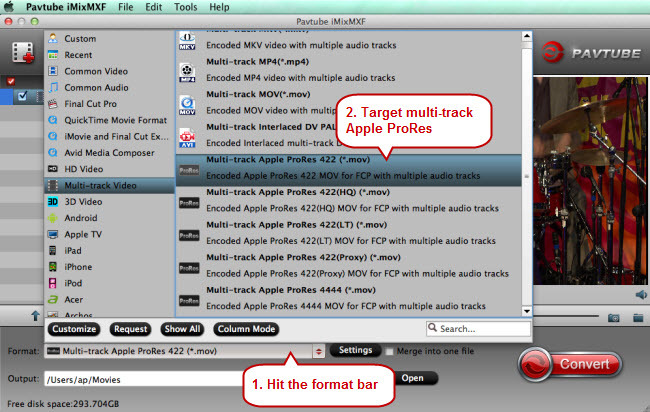 It makes it easy to convert MXF footages to Apple Prores preserving the multi tracks for editing in Final Cut Pro (X). Apart from the unique multi-track preserving feature, you can also mix the multi tracks in to one track for broadcasting. And this feature enables you to mix the audios of interviewer, interviewee, surroundings, or editors'/directors' comments into one. 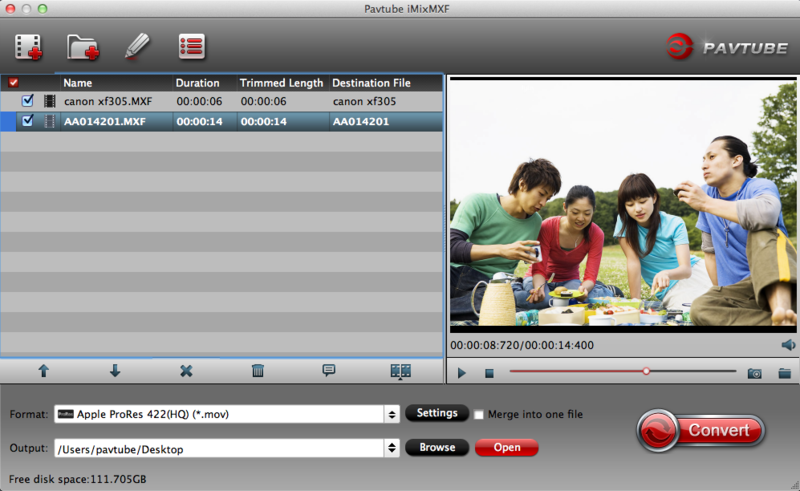 Besides converting MXF files to above listed multi-track formats, Pavtube iMixMXF also enables you to transcode MXF to other video or audio formats such as AVI, WMV, MP4, MOV, MPG, FLV, MKV, 3GP, WebM, etc for better playing and sharing. You can also do som simple editing on the MXF footage by trimming, cropping, rotating, merging, splitting, watermarking, adding special effects, etc or adjust the multi-track settings to check the audio track you want to output and specify the video codec you'd like to encode with. Step 1: Load MXF file with multiple audio tracks. Launch the program on your Mac computer, click the "Load file" or "Add Video" icon on the main interface to import MXF files with multiple audio tracks into the program. Step 2: Output Multi-track video format. Currently, you can choose 8 multi-track output formats, Multi-track MKV, Multi-track MP4, and Multi-track MOV and 5 multi-track MOV output formats with Apple Prores codecs for FCP. And Apple Prores codecs under FCP category cannot keep multi tracks. The only way to output multi-track Apple Prores is to chose them under Multi-track Video category. Note: If you choose multi-track output formats, then all the video editing functions in "Video Editor" window are disabled. Click "Settings" on the main interface to open "Multi-task Settings" window, here you can choose which audio track to output, and specify what codec you'd like to encode with. Mix audio tracks: Check "Mix into one track" under the left bottom of "Multi-task Settings" interface, you can then mix the multiple audio tracks into one. 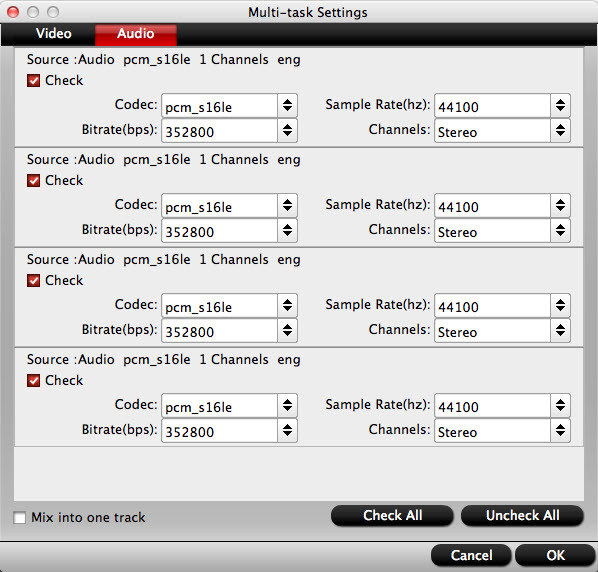 Step 4: Convert MXF files with multiple tracks. After the conversion, you can click "Open output folder" to popup output directory with the converted files.